January 14, 2016: Maruti Suzuki has announced that it will now offering driver airbag in its Alto series. 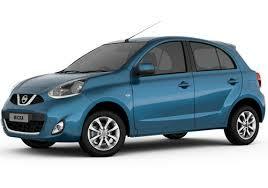 The safety feature will be provided as an optional attribute from the base variant of Alto K10. The addition means that the buyers can now experience improved safety in Maruti’s entry-level hatchback. 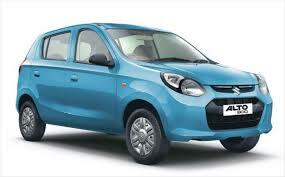 The carmaker is also offering left side rear view mirror with all variants of Alto. The announcement comes at a time when Indian Government recently said that it will make airbags mandatory in all cars. 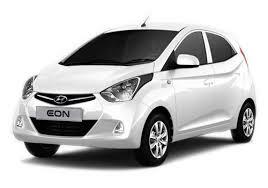 July 21, 2015 : Hyundai is offering upto Rs 26,000 off on the EON in their Monsoon Splash Offer. The petrol variant gets up to Rs 23,500 off while the CNG variant gets discount upto Rs 26,000. The offer is valid till the end of July. Earlier in May, 2014 Hyundai India launched Eon Magna+ at Rs 3.83 lac (Ex-showroom,New Delhi) which had dual tone interiors in beige and brown color scheme along with addition of music system with USB and AUX connectivity. Engine of the car is Dual VTVT, 1.0-litre three-cylinder that produces maximum power output of 68bhp and peak torque of 94Nm at 3500 rpm. March 20, 2013: Maruti Suzuki India in keeping with the current market trend has released a limited edition Eeco dubbed as Maruti Eeco Smiles at a starting price of Rs. 3.32 lakh (Ex-showroom, Mumbai) . This limited edition model does not feature mechanical changes but boasts of plenty cosmetic ones. The new Eeco Smiles comes with wheel covers, mud flaps and ‘Smiles’ stickers on the side profiles and the rear. Inside the cabin it now sports a new double DIN music system with USB, new doormats and dual tone seat covers. All these extra features have added Rs. 9,490 to the price of the car. The car houses a 1.2-litre petrol engine that generates a maximum power output of 73bhp along with 101Nm of peak torque, while returning an impressive mileage of around 15kmpl. 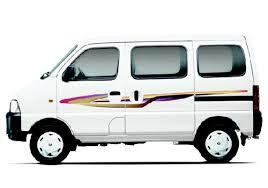 The vehicle is also available with the CNG kit option, which promises to return a mileage of 20km/kg. November 17, 2014: Tata Indica eV2, the fuel efficient hatch with CR4 diesel is now available with benefits upto Rs 40,000. 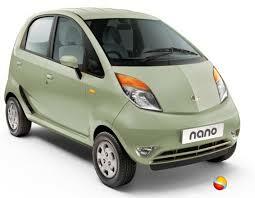 The car delivers a fuel economy of 25kmpl. Inside the cabin, the car gets attractive spacious dual tone interiors. 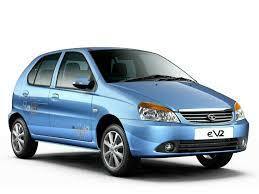 Last year, the company also introduced a CNG model of Indica. Indica emax delivers an excellent fuel economy of 23.7km/kg, and it offers an additional range of 230Kms in CNG over 600km in petrol. It features an advanced F-Shift gearbox and a new dual path suspension that further enhances the handling and driveability. It is available in 6 cities across India including Delhi, Maharashtra, Gujarat, Uttar Pradesh, Andhra Pradesh and Tripura. March 14,2016 :The next generation Nissan Micra has been spied testing. The test-mule featured heavily camouflaged panels and the snapped prototype bore great resemblance to the Japanese automaker’s Sway concept. By the looks of it, it can be said that the next-generation Micra features an aggressive stance with elements like a rear spoiler, sloping roofline, angular treatment for the rear -end, and prominent design lines along the side of the car. We can expect that the next generation Nissan Micra will break away from the design approach incorporated by the outgoing model of the same hatchback. February 03, 2016: Chevrolet India has unveiled its anticipated hatchback Beat ACTIV alongside the compact sedan Beat Essentia. 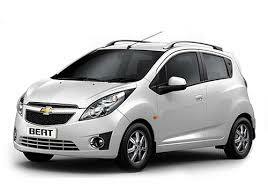 The updated Chevrolet Beat incorporates refreshed cabin interiors that are derived from the current generation the car. Both the hatchback and sedan are expected to make it to the production by the end of 2016 or in 2017. Chevrolet’s plans to bring in more products like the next gen Trailblazer and the MPV spin. July 21, 2015 : Hyundai is offering a massive discount of Rs 42,500 on the i10 in their Monsoon Splash Offer. The petrol variant gets up to Rs 37,500 off and the CNG variant gets upto Rs 42,500 off. The offer is valid till the end of July. This discount makes the price of i10 rather competitive and may help the company gain an edge over its rivals. 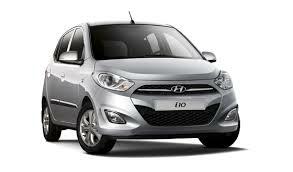 Despite launching the Grand i10, the company continues to sell the earlier generation of i10 along side the Grand. November 7, 2015 : Maruti WagonR has been launched at a pricetag of INR 4.76 lacs (Ex-showroom, New Delhi). Earlier, the car was spied with an AMT gearbox. The manufacturer is preparing more AMT-based option with their budget cars. 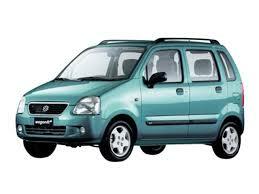 Before that, the company launched a limited edition model of the WagonR called the WagonR Avance. The Avance will be based on the Lxi and the Lxi CNG variants of the wagonR and will incorporate new features like 2-din stereo with Bluetooth, dual tone dashboard, beige inserts and rear-seat power windows. The exteriors get new body graphics, roof-rails in gunmetal color, rear spoiler along with keyless entry and central locking/security alarm. The Avance Edition has been priced at Rs. 4,29,944 lacs, ex-showroom for the Lxi Variant and the Lxi CNG variant has been priced at Rs 4,83,973 lacs, ex-showroom. With 2 Weeks of Continuous Research we published this for you!